Our mission at Green Token Cannabis is dedicated to carrying the highest quality products at the best price, providing an individualize customer experience, and having the most knowledgeable medical marijuana experts on staff for our guests. We provide a personalized experience for each guest that utilizes our years of expertise within the industry. We also strive to be the best in our field, because we believe in establishing lasting guest relationships. At Green Token Cannabis, we listen to the needs of our clientele and offer the best selection to choose from. We never push products because we believe in customer satisfaction. Additionally, we are commitment to giving back to our community. We believe that by supporting our community through philanthropy we can positively impact our industry and remove the negative stigma surrounding Cannabis. Through philanthropy, education, and an active collaboration with the Washington State Liquor and Cannabis Control Board, we are committed to being a compliant Medically endorsed Recreational Retailer. Our goal is to grow with our community, and just like the plant you need strong roots in order to flourish. Our roots, are medical and we will never abandon those as we grow. If you haven’t experienced the Green Token difference yet, we encourage you to stop by and see why we are the BEST in Pierce County, if not all of Washington State. Green Token Cannabis is an Tacoma Recreational Marijuana Dispensary Green Token Cannabis is proud home of the best quality cannabis in Tacoma available at the most affordable pricing. With a variety of marijuana products to suit any need and some of the best customer service available, Green Token Cannabis strives to offer their Tacoma dispensary patrons a reliable, friendly, and honest dispensary experience. History: Opening December 2017, Green Token Cannabis began to serve the Tacoma marijuana community after transitioning from the medical industry following Washington's shifting regulations. With years of cannabis experience, Green Token Cannabis knowledgeable staff is very patient-oriented, with a store philosophy of helping patrons to the absolute best of their ability. Medically endorsed and loved by their Tacoma patrons, Green Token Cannabis has proudly been featured in Culture Magazine as Pot Shop of the Month and serves more than one hundred patrons a day. 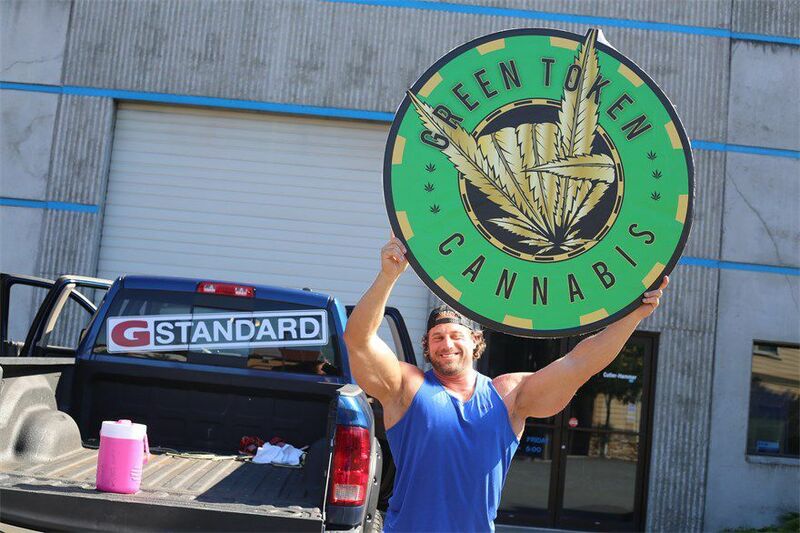 Staff: Green Token Cannabis sets themselves apart with their exemplary customer service. Their Tacoma dispensary staff boasts a knowledgeable range of both general and medical cannabis knowledge, allowing them to take the time to help each customer with individualized advice and respect. Green Token Cannabis doesn’t rush their dispensary customers out the door; they’re passionate about people leaving feeling as though they’ve received the best possible service they could. Location Information: Green Token Cannabis is a medically endorsed store.